Getting lettuce from my garden is like nothing else: fresh, crisp and delicious! Do you know how to grow lettuce? 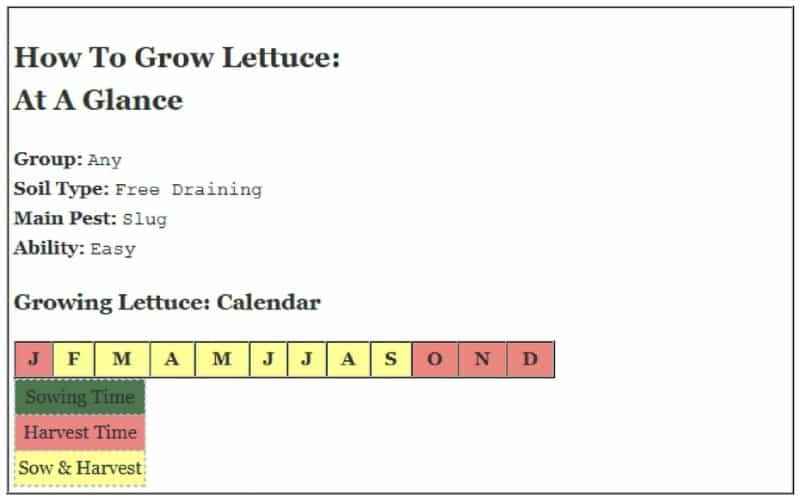 It’s really easy and with a bit of planning you can grow lettuce year round. YUM! I LOVE fresh salads in winter! the second is successional sowing, so that you always have young seedlings waiting to replace your current crop. Lettuce needs well drained soil, so do some light digging and add a bit of organic material will help assist drainage. Other than that, lettuces are quite unfussy about the soil they grow in. 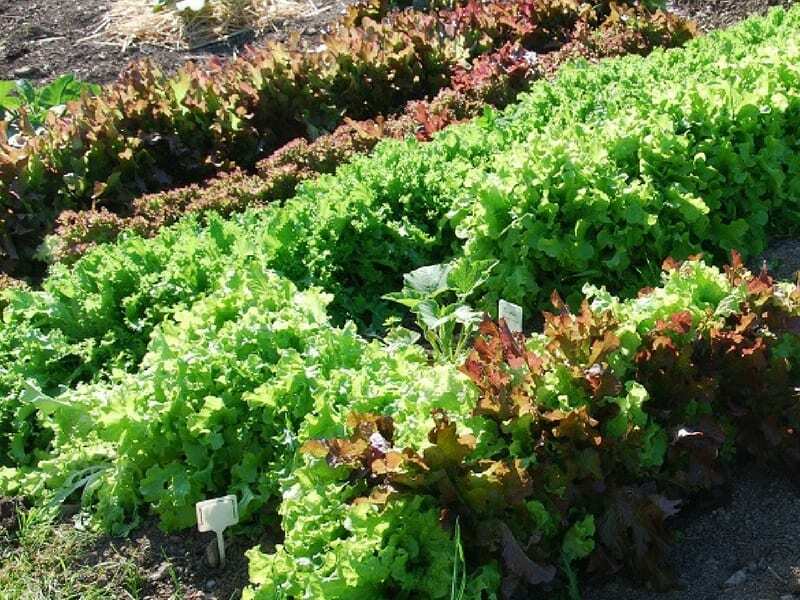 If you plant lettuce in between other crops, the fertilizers for that area will provide plenty of nutrients for them. Better yet, plant some garlic and onions in between your lettuce to help keep parasites away. Plant in a shady part of the garden to avoid bolting, as lettuce is likely to bolt easy in full sun. Dappled light works best so the shade of a tree or bean frame will work very well. And in the late fall and winter, plant some in your greenhouse. Building a small greenhouse could benefit you all winter long. Here’s how to build a small greenhouse. The most difficult part of how to grow lettuce is remembering to sow little and often. 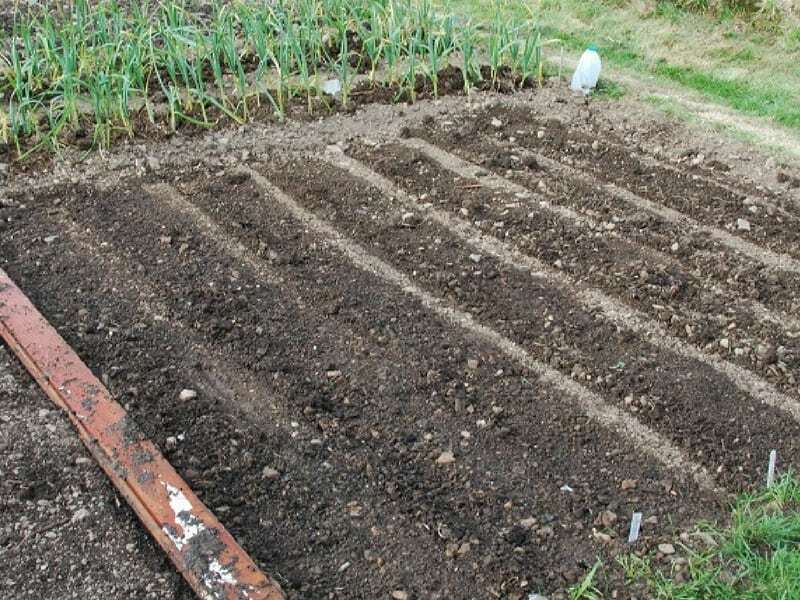 It is so easy to forget to sow every 3 to 4 weeks, especially if you have plenty of salad leaves available on your plot. Because they germinate quickly and easily, they’re fine to direct seed. But you can also sow in modules or flats in the greenhouse and transplant once germinated. Thin down seedlings to one per module and plant in their final position after 3 or 4 weeks. When planting out, water well as seedling can suffer from water loss during transplanting. In the summer we would also plant out later in the day to avoid the heat of the sun. 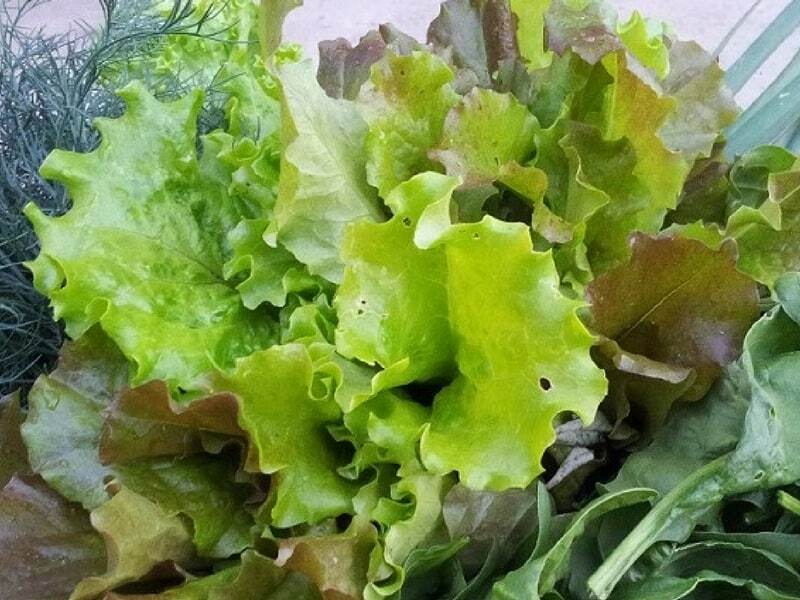 Loose leaf lettuces are slightly different as they can be cut near the soil and then they will regrow. 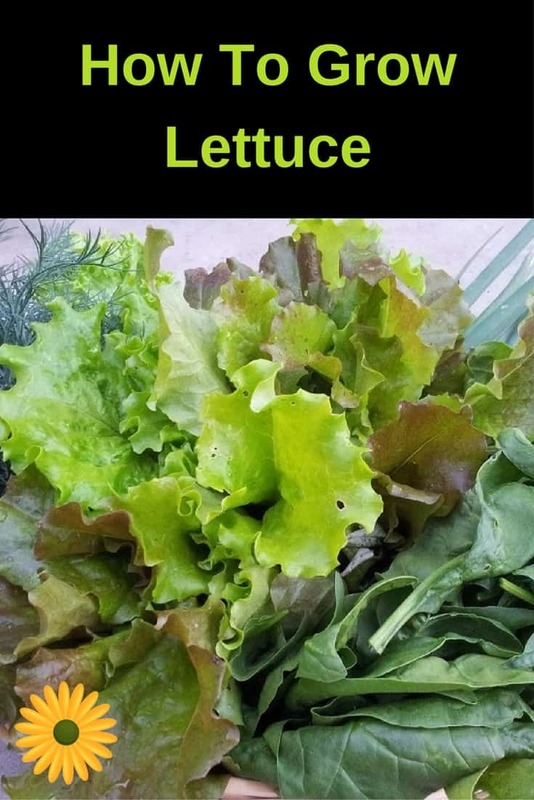 These cut and come again lettuces are the easiest to grow as they need very little attention. Simply scatter some seeds, allow them to germinate and grow, and some 6 weeks later you will have plenty of mixed leaves for your salads. Consider is time of year, as some lettuces will struggle in the winter, while others will struggle in the summer. Cos lettuce is a summer lettuce, it is heat tolerant, and will stand full sun. Iceberg type lettuces are cold tolerant, they will stand frosts and should be available all through the winter. Loose Leaf and Butterhead lettuces do not appreciate any extremes, and are more cool weather plants. They will do well in spring and in cooler summers, as will they during autumn and warmer winters, but they will suffer in extremely hot or cold weather. 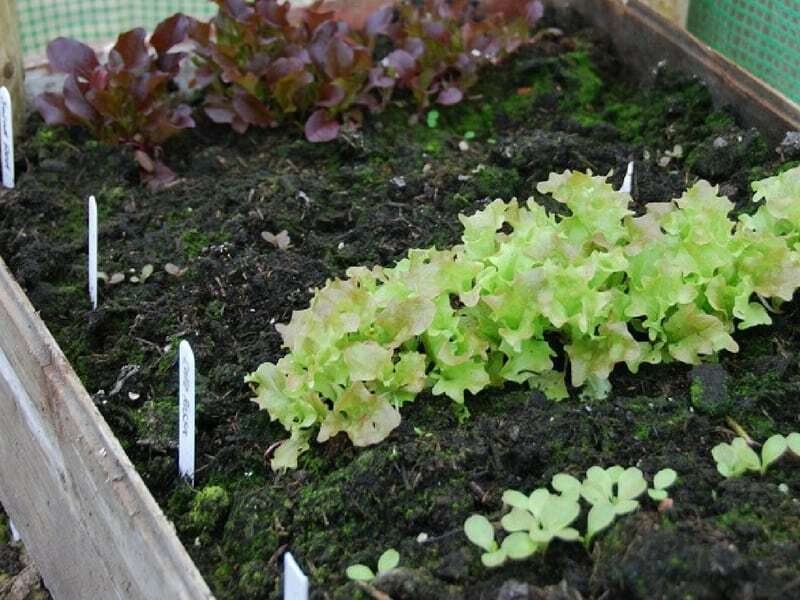 Choose a shadier area of the garden for these lettuces during the summer, and if you can, use the greenhouse or poly tunnel in the depths of winter. Lettuce is pretty much trouble free: the only problem you are likely to get is from those pesky slugs. Choosing a large Lollo Rosso lettuce for a salad in which 10 to 20 small slugs have taken up residency, could be your introduction to the concept of shared veggies. The best slug controls are beer traps, broken up egg shells and old coffee grounds, with a little slug hunting thrown in. Avoid slug pellets, because the effect on the environment is an unknown and it’s best to be as chemical free as possible – particularly as dogs seem to think that slug bait is edible. Aphids are another possible problem, although they are easy to deal with, a wash with a soap and water mix will easily get rid of aphids. Just remember to pick only what you need as the longer you keep lettuce in the fridge, the more chance you have that it will begin to brown and go limp. It will also lost vitamins. When you first pick your lettuce, soak it in a bowl with salted water in for a few minutes. This will help get rid of any unwanted bugs. Rinse twice with cold water, washing each leaf under running water. Then, dry it with a salad spinner before making your salad. We all know how to use lettuce for salads. Different lettuce types make different salads. For example, Cos or Romaine lettuce would be used to make a Caesar Salad. Butterhead Lettuce, such as Boston would be used to make Waldorf Salad. Loose Leaf lettuces go with stronger robust flavors, perhaps with Parmesan cheese, olives, or with your favorite burger. Lettuce is also used in soups, and making wraps for those who eat Paleo diet. YUM!